After adding a map and the You Are Here beacon, plot the desired locations on your map. Prior to adding locations, it is recommended that you have a .csv file created with the Room information/Room numbers you need. In this example we will have a column called RoomNumber. Having this ready will help with interactivity. In Map Properties, click Wayfinding. 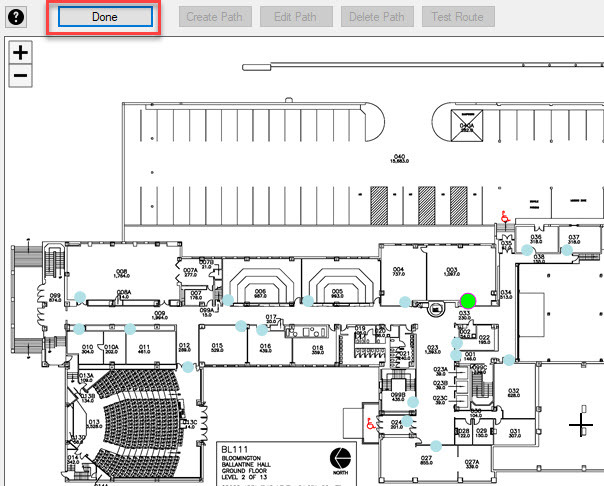 In Wayfinding, select Edit Locations. With the mouse, click on the areas of the map where the map points will be. Typically the location points are at doorways. To remove a location, hold down the control key (or CTRL) and click on the location. After adding locations, click Done. The location points/coordinates will display on the right-hand pane. 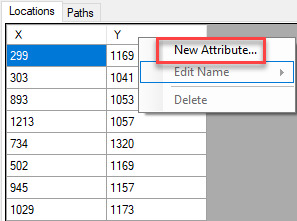 In the location list, click on the header and select New Attribute. Go to Edit Name and add the column header from your spreadsheet. In this example it is RoomNumber. For each location point, add the name in the new column. 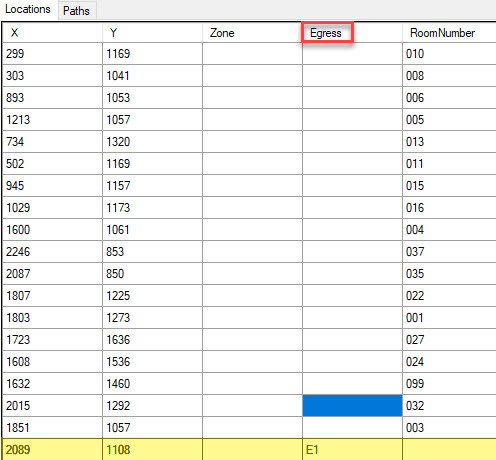 In this example the room numbers are added in the RoomNumber column. Continue adding location names until all the coordinates are complete. Right click to remove an entry. Drag and drop to rearrange entries. 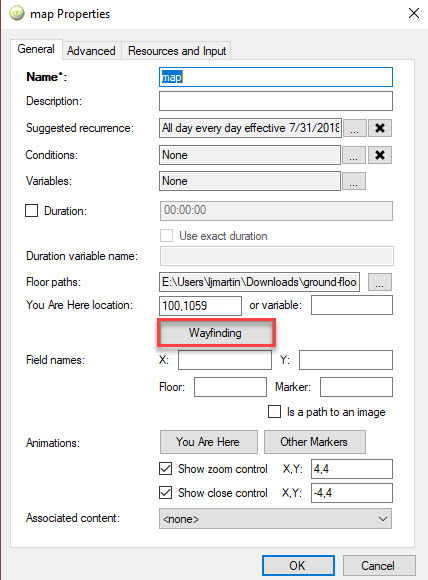 In the Wayfinding edit, check the box for Show Extended Attributes. The Zone and Egress columns will display. For Egress entries, select a location to serve as an egress such as a stariwell, elevator, or exit. 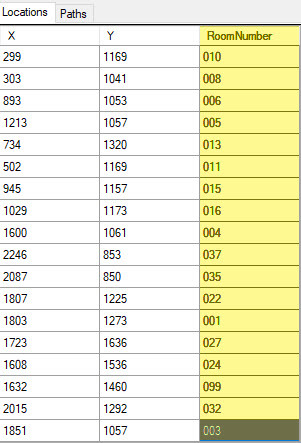 In the table, label the location with a unique name, such as E1. Note: For wayfinding for multiple floors to work properly, stairwells and elevators should have corresponding egress names. For example, a stairwell that goes from the first floor to second floor should have the label of E1 on both floors. 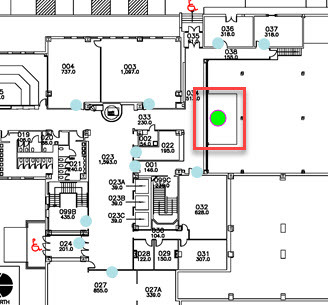 Repeat the location plotting for other floors as applicable.